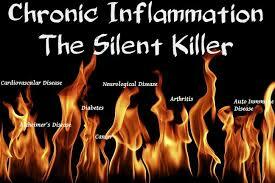 Research is now confirming that the root of many diseases, so prevalent today that they have become an accepted part of the human condition, can be traced to a common cause: a serious and chronic condition of INFLAMMATION within the body. Disorders such as cancer, heart disease, back pain, sensitive gut, osteoporosis, atherosclerosis, headaches and migraine are all associated with an INFLAMED condition of the cells. For patients suffering from chronic back pain it is very important to reduce the inflamed condition of your body in order to get the best from your care. It is known that grains are a relatively new food from an evolutionary perspective. Humans existed as non cereal-eating hunter-gatherers since the emergence of Homo-erectus some 1.7 million years ago. The historical evidence indicates that the human genetic constitution has changed little over the past 40,000 years. 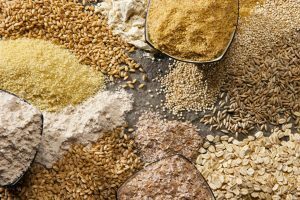 The addition of cereal grains to our diet over only the last 5,000 – 10,000 years represents a dramatic departure from those foods to which we are genetically adapted – wild game, fruits and vegetables. When agriculture developed it had far reaching effects on our health. Our diets became narrowed as we relied on what could be produced by farmers. Most major cultures existing in the world today can be identified with one particular grain which permeates the diet of every citizen. In the West it is wheat. In Asia it is rice. In Europe it is Rye. In America it is corn. Today, the massive level of grains consumed by most people is an “assault on our genes”. In Australia we have an obsession with wheat and it comes in the form of BREAD. Other culprits are cereals and pasta. The problem is that we have been told that these are good for you and so we consume them in huge amounts. Even the food pyramid (created in consultation with wheat, dairy and sugar industry approval) recommends high intake of these foods. Aggressive marketing and progressive brain washing has resulted in many people eating up to 6 serves of wheat per day. We have become so dependent on bread that for many they cannot consider a day without it. Instead of having a chicken and salad sandwich; have more chicken and salad without the bread! Have an omelette in the morning for breakfast instead of the highly processed, sugar added, wheat based cereal. More suggests later in this article. What about wholemeal bread I hear patients ask? Many of the wholemeal and full grain breads start life the same as the highly processed white bread you are trying to avoid. A refined bleached white flour is used as the base. Colour is added to make it brown bread. A hand full of grains is added to make it “whole grain”. At the end of the day, it is still grain and it is still acidic. What about Rye bread? Rye, soy and linseed are, in my opinion, better breads, but they still contain grains, albeit slightly less acidic than wheat. 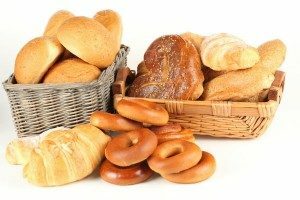 If you are eating to reduce inflammation, then you need to eliminate breads from your diet – all types of bread. I had a patient with chronic heart burn (the GP diagnosis was that of a hiatus hernia). Using natural medicine and dietary modification we were able to get rid of 90% of the acid reflux. But it was not until she finally stopped eating her “wheat free” bread, did the “heart burn” stop. As well as inflammation and disease being caused by grains, there is the issue of weight gain. Coming from a farming background I know that grain is very good for fattening cattle. Unfortunately grains have the same effect on people too. Unless you are exceptionally active your body can only successfully burn off one slice of bread per day (depending on your diet). If you are eating more than this you will most likely store it as fat. For each extra slice of bread you ingest you would have do exercise in the gymnasium for up to 1 HOUR to burn it off! Eating grains that have been refined makes this situation worse because it is easier to consume refined grains in greater volume. Bread is a refined grain. With butter (fat) and a nice jam (sugar) most of us could eat 3 or 4 slices without too much trouble. Most cereals contain refined grains. Unfortunately the more tasty the cereal the more processed the grain and the more sugar is added. Some cereals have so much sugar you would be better off eating the cardboard (Fruit Loops and Frosty Flakes come to mind). If you notice, a few hours after eating refined grains like bread, you will probably be hungry again. Your blood sugar levels rise dramatically on eating the bread. Your pancreas produces insulin to drive down the spike in blood sugar. The insulin drives the blood sugar down too far in some people and they end up “hypo-glycaemic” – that is they have low blood sugar levels. This makes them lethargic, sleepy and HUNGRY again. Just in time for more grains! So if you must eat grains make sure that they are in their unrefined state. Whole grains are better than processed ones. Unrefined whole grains will help satisfy those hunger pangs for longer.